"I have about 200GB of anime on my hard drive, each episode is usually about 300MB - 600MB. All of these files are in MKV format. I would like to know how to compress MKV files without much quality loss in the video, audio, or in subtitle sectors. Any good MKV compressor to recommend? Thanks in advance for your help." - from Video Help. MKV format file is of better quality, but it has larger file size in return - a 1080p MKV movie of 2h is about 8G. Reducing MKV can be useful for emailing, uploading to YouTube, Vimeo, Facebook etc. and saving hard drive mobile devices storage. Follow the guide to quickly shrink MKV with no quality loss speedily on MacBook Pro/Air and Windows PC. * Compress MKV Without Losing Quality at Speed? Nearly original output quality, No.1 fast speed, innumerable output video formats, easy to use, that's why I recommend this cover-all MKV video processing software - MacX Video Converter Pro. 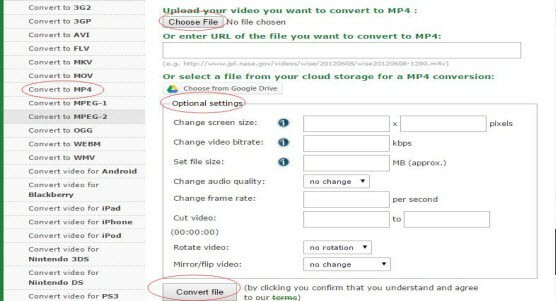 It enables you to convert MKV to MP4 AVI FLV WMV, etc. 180+ much smaller-sized formats at full speed. For many MKV compressor, it takes about 4h to compress a 1080p MKV movie of 90 mins. But you only needs to spend several mins on the 1080p 4K UHD MKV shrink process with this program, cuz it delivers 5× faster speed than any competitors with the aids of Intel QSV/Nvidia/AMD GPU Hardware acceleration tech. So you can downsize MKV to iPhone iPad Android or upload MKV to YouTube, or email super fast with zero quality loss, as well. Let's Shrink MKV Video File Size with HQ MKV Compressor Now! This application gives supports in resizing MKV files in any video resolution, e.g., downscale 4K to 1080P, 1080P to 720P videoon both Mac and Windows PC. Download Windows version (Win 10 incl.) or Free download MKV shrinker for Mac (macOS Mojave 10.14), and run it. Step 1: Click "Add File" icon to load the MKV video movie file. Step 2: Press settings icon on the right after loading the MKV file to adjust video parameters to compress MKV file size. Tips: the "Edit" button below the video information helps you customize your video file and reduce MKV file. You can trim and cut MKV file to remove unimportant parts of your MKV video movie, crop the video to remove unwanted areas, black bars, etc. Step 3: on the pop up window, you are allowed to transcode MKV to MP4, AVI, MOV etc. with smaller file size from the "Output Profile" drop up menu. MP4 format holds a good balance between file size and resolution. While MKV is a high quality video format yet of much larger size, so converting MKV to other file format is a great choice to downsize MKV video moive files. Step 4: Make MKV video smaller via lowering 4K UHD to 1080p. Lowering the res, frame rate and bit rate to acceptable ones helps shrink MKV file a lot. Step 5: Click "RUN" button to start MKV video reducing process with no noticeable quality loss. Handbrake is an open source and cross-platform free video compressor for MKV format file. The MKV compressor free program works on Windows, Mac and Linux, not including the latest Mac OS X El Capitan and Win 10 though. Handbrake can cut down MKV file size by converting MKV to MP4, AVI, MOV etc. video format with smaller size for Web, email, YouTube, iPhone iPad and more with some quality loss. And it is able to reduce and resize MKV video by cropping video automatically or adjusting video image width and height. 1. Download and launch Handbrake in your computer. Head to Source > Open File and load the MKV file. 2. Click "Browse" button to select a destination folder to save new MKV file. 3. Select "MP4" format from Container under the Output Settings to convert and compress MKV video movie to MP4 as MP4 is widely accepted by media player and mobile devices. 4. Under the "Video" category, select video codec, adjust frame rate, quality, bit rate to shrink large MKV file. 5. Hit "Start" button to reduce MKV file size. The larger the MKV file size is, the longer time will be needed to finish the task. You'll sacrifice video quality and much time using Handbrake to compress MKV formatted video movie. Handbrake is a hit and miss, common problems are Handbrake converting MKV error, Handbrake resizes MKV without decreasing file size, no valid source found when loading MKV files, etc. There are some online video compressor video converter programs helping shrink MKV files. Video Online Converter is an easy one with a wide range of video formats supported. Note that the site is loaded with ads.The maximum file size for free users is 100 MB. The speed is much lower compared to that of the above mentioned software. If you wanna compress 1080p 4K Ultra HD MKV file, I'm afraid this is not a reliable choice. To compress MKV file to MP4, AVI, MOV etc. 2. Select "convert to MP4" or other path. 3. Click "Choose File" button to load MKV video file, or enter URL of MKV file (YouTube MKV downloads, compression is not supported) or select file from Dropbox, Google Drive. 4. You are free to adjust video from the Optional settings area: change screen size, MKV video bitrate, set file size, change audio quality/frame rate, cut video to a shorter one to shrink MKV file size. 5. Click "Convert file" button to start MKV file reducing. Videos you are going to send via email is limited to 20 mb. So you have to resize the video before sending to your friends. Here in the guide, the detailed video compression tutorial is shared. 4K video file size is large to store and the videos in 4K will be uploaded slowly. So you have to compress 4k to lower HD 1080p resolution video to get rid of the problems. Check the solution here. There are chances you want to make video smaller size for storeage, upload or sharing without problem. You can lear how to compress large video files in this guide. 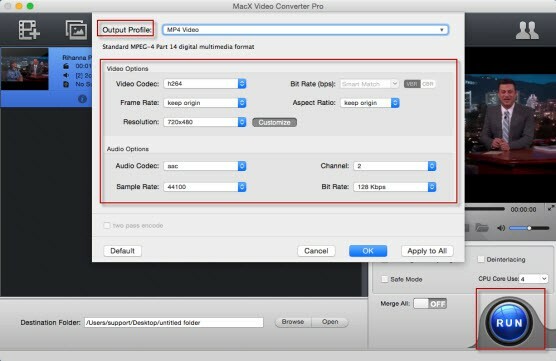 MacX Video Converter Pro is the best MKV file compressor with top quality and fast speed. This feature-rich video software can help you shrink MKV for uploading to YouTube, FB, Vimeo, etc. or email or playback on iPhone iPad iOS Android devices.